Spiritual formation is not an option. Every moment, every day, every one of us is being shaped into something. But how intentional are we in letting God use our life to shape us into the person He wants us to be? In this four-week series on spiritual formation, we'll explore what Christian spiritual formation is, why it's so essential to our faith journey, and how to participate with God in being formed according to His design. Boost is a short-term, mid-week offering designed to provide a spiritual boost by engaging in study and discussion together. This session will take place at our main building every Wednesday, February 10 through March 2, from 7:00 to 8:00 pm. 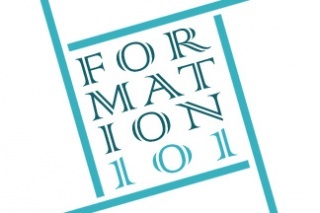 What is spiritual formation? We begin by examining the reality of spiritual formation in all of our lives and our need to be intentional in how we as Christians are shaped. To guide us, we'll begin unpacking a fourfold definition of Christian spiritual formation by M. Robert Mulholland Jr. Here we consider spiritual formation as a process and how that understanding counters the perspectives of the culture in which we live. Who forms us? It is significant that we understand spiritual formation as a process of being conformed. This week we examine the truth that our formation ultimately lies in God's hands and not our own. As we do, we'll continue to consider how understanding formation this way goes against the grain of our culture and discover what our role in our formation is. What does Christian maturity look like? God's purpose for our formation is very specific. As He moves us toward wholeness, He is working to restore in each of us His own image which was broken at the Fall. Here we'll examine how the Image of Christ stands counter to our culture's ambitions for fulfillment and how experiencing the restoration of God's image in us requires dying to self. What is essential to living the Christian life? Ultimately our relationship with Jesus is not just for our benefit, but to carry his presence into our relationships with others. In our final week, we examine how Scripture links love for God with love for others and how our spiritual formation is designed to impact both the community of faith and the unbelieving world around us.